TR Enterprises have their own specialist parts website. What you will find on our parts website is items to upgrade your TR. We are constantly adding lines to the page, so if you don't see what you want straight away, give us a call. 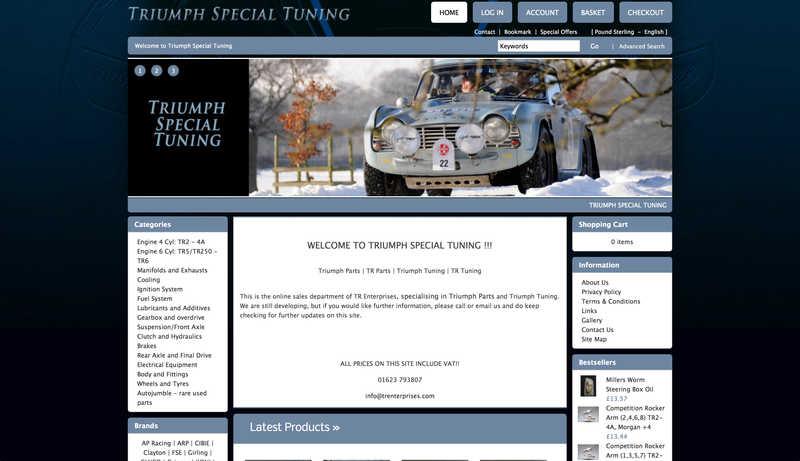 To view and purchase parts, please go to http://www.triumphspecialtuning.com or click on the image to the right and we will direct you.